In the home cinema speakers segment there are a few brands that are well known among fans and audiophiles and one of them is Dali that spent the last 35 years making a name in the audio speakers category to the point that today is considered a very respectable one and has created some amazing speaker series over the last years. Today we will be reviewing a model in their Zensor series and specifically the Zensor 5 floor-standing loudspeaker which is mostly aimed for small to medium sized media and home cinema rooms and with their low price are considered a good option for those who don’t want to spend a fortune for their selected speakers. So without further delay let’s start our Dali Zensor 5 review. The Zensor 5 speakers are mostly destined for small or medium sized areas and so their size was made in accordance to this requirement. Measuring 825mm x 162mm x 253mm (HxWxD) these speakers are not particularly big and can easily fit in tight spaces although you should always leave a minimum of 20cm from the walls for breathing space. We definitely approved the design they have as it has a certain style that we definitely liked and we consider it to be one of the better looking speakers in this category. Usually in speakers it’s the tiny details that set each other apart so the same applies to this one here. The front is covered by a high-gloss lacquered finish while the rest of the cabinet is made of medium density fibreboard. The speaker is placed on a aluminium base that gives it style while keeping it firm and steady at an elevated height. The cabinet itself is CNC machined MDF board and features internal bracing to reduce structural resonances. 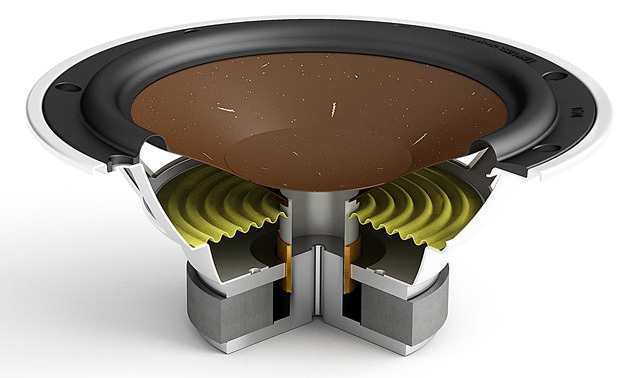 Inside we find damping material to the sides, top and bottom but not on the rear side of the front baffle as this creates a more direct contact between the woofer and bass port. As a result we get more precise bass and improved mid-range. Looking the front of the speaker it resembles a long square column with a cloth grill covering all the drivers accompanied by a bass port under it and the Dali logo completing the front design. Placing the bass port on the front gives us a bit more flexibility in placing these speakers as having it on the back would require us to leave more breathing space between the speakers and the wall. When we remove the grill we are confronted by what make these speakers really shine. 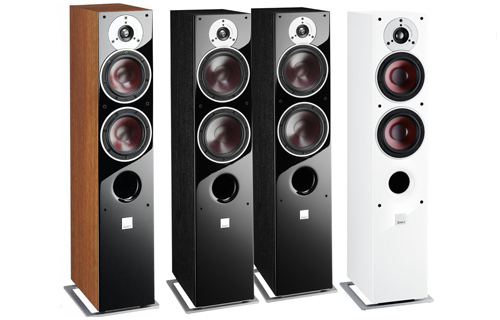 A group of three drivers in a Tweeter-Midrange-Midrange configuration. 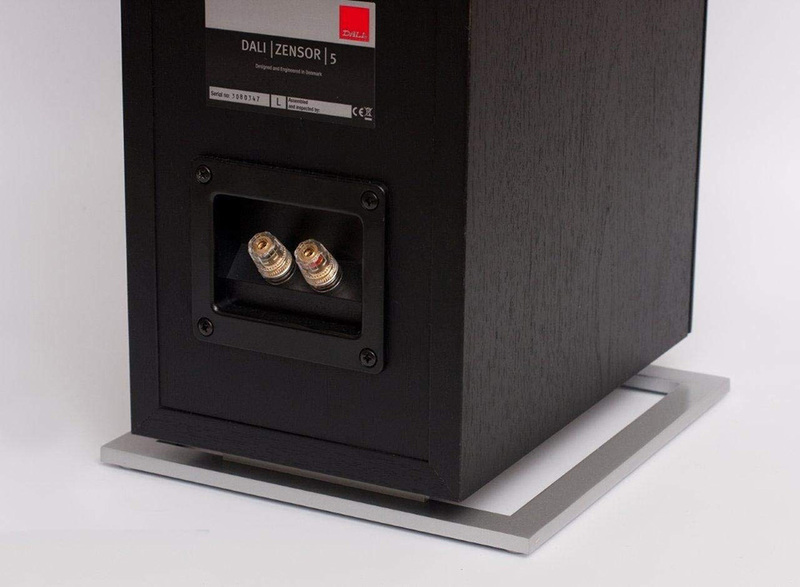 Dali has equipped the Zensor 5 with dual 5.25″ wood fibre woofers featuring 4-layer voice coils for better control of the wood fibre cone. On the top there is a 1″ (25mm) soft textile dome tweeter which Dali made particularly lightweight and because of it’s vented voice coil former, it offers minimized compression and increased power handling. Also the damping material under the dome minimizes reflections from the pole piece. 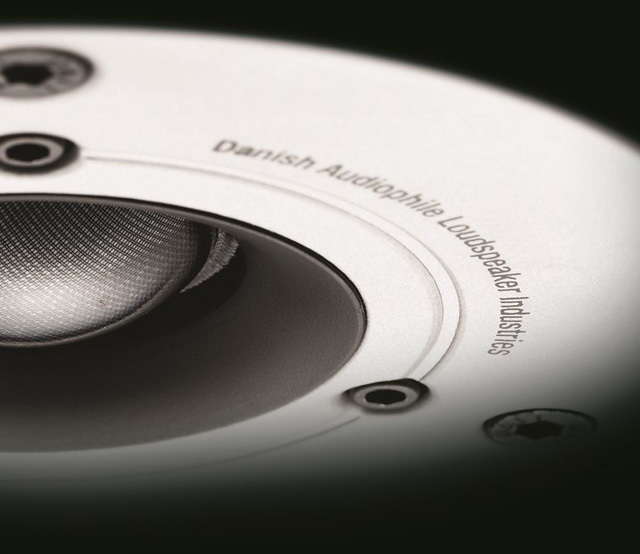 The combination of all drivers give the speaker a frequency range of 43Hz – 26,5kHz and a crossover frequency of 2,4kHz with 88dB of sensitivity and 6 Ohms of nominal impedance. At the back of the Zensor 5 speakers we only find the terminals for the wire connections placed almost at the bottom of the speakers. The quality of the connectors is pretty good for this price range with gold-plated bindings and plastic screws and you can use either bare wires or special banana plugs. 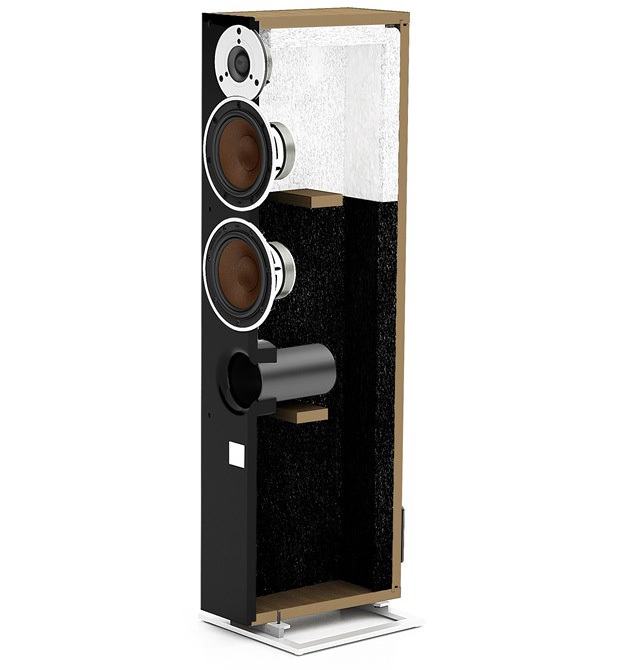 The speakers come in three colored variations with black and light walnut having a black front while the white variation is covering all sides. As we do with all our speakers we connected a pair of Zensor 5 speakers to our Onkyo TX-NR646 AV receiver and after going through the necessary calibration of our audio system we were ready for testing. For our first testing we went through a few selected clips from the film Pacific Rim: Uprising. A movie that comes with a bombastic sound track as the Dolby Atmos it comes with the 4K UHD disc is a great way to test any kind of serious home theater speakers. The results we got were very pleasing if you consider both size and price of speakers. The front soundstage they created was broad and felt coherent throughout the testing. The film consists of a lot of high frequency sound effects that the Zensor 5’s delivered with high precision. Mid-range felt at all times balanced and lows although adequate never felt like they had the clarity we would like with the speakers having difficulty conveying bass information with confidence. The metallic armor of the Jaegers felt hard and cold, computers and virtual cockpits came to life with all the bleeping sounds while sound effects were delivered with punch but also cohesion. For our next test we wanted to try a film with a more orchestrated heavy soundtrack and for that we chose the Blu-ray disc of Lord of the Rings which provides a sound effects heavy track encompassed by a bass filled orchestrated theme that was just perfect in order to try a completely different setting from the futuristic, high tech and mayhem filled track of Pacific Rim. Mid range provided again great balance while the top of the frequency range was clean and detailed. When there were both the orchestrated theme at play and sound effects at the same time the speakers never felt overwhelmed delivering every note with great control. Bass left something to be desired but in most cases you will probably be using a subwoofer that will take care of the lows so most probably you will not notice this. Closing this test we felt that the Zensor 5 speakers were able to deliver very good performance and in case you are planning to use them for film viewing you will not be disappointed as they offer a great overall balance and tight control. Being a little weak on the lows will probably make no difference as your system’s sub will cover that. Other than that they were able to give us a great time during testing. They may not look much as their size isn’t anything impressive but what they will offer, will definitely amaze you. Having finished with our movie testing we moved on to some music tracks to see what kind of behavior they would show. For this we had created a selection of FLAC music tracks with different types of music in order to see their reaction in a wide variety of instruments and rhythms. The feeling we got was that bass was adequate without being massive. The speakers managed to offer ample details giving a reasonable separation of instruments while vocals were clean and precise. High frequencies were clean and detailed while the mid range had a superb tonal clarity. Integration from the high frequencies to the lowest was done smoothly while sudden shifts in dynamics gave the speakers no problems, making the Dalis give a very balanced performance. Taking the volume up to higher levels didn’t reveal any distortions and quality was maintained high at all times. 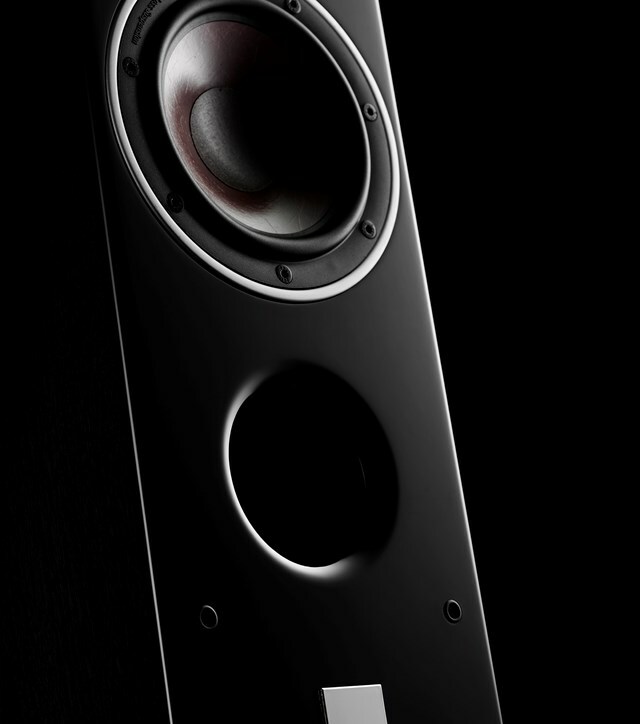 The Dali Zensor 5 speakers were able to give a very solid performance both in our movies and music tests. To us it felt like they had some problems with the bass lacking a bit in detail but in case you are using a sub then it will take care of that part. There was a good balance in the mid range while high frequencies were delivered with ample detail. The size of the Zensor 5 may not help them for big sized rooms and in such a case you will probably need to check the bigger Zensor 7 version but for small to medium entertainment areas and media rooms they will feel right at home delivering superb performance and filling your room with all the music and sound effects you will ever need. Performance is very good and the price is right making them an excellent choice for anyone who doesn’t want to go very high with their speakers budget. To be honest with you, I often find that home cinema speakers suffer in the bass to low mid regions – I’m starting to wonder if that sort of frequency region is dulled down or filtered out slightly in Hollywood mastering situations? There are a lot of parameters at play that can contribute to that so it’s not easy to pinpoint exactly why this is happening. As for your second question, not at all! We have tested speakers in the past that had great bass and they were also stationary floor models. This looks really compact and just the right size for a flat like mine. It looks sleek and cool too, a simple design that speaks to me. The white one is my favourite, love its clean look, makes the whole place look brighter and cheerier. Appreciate the performance section that you wrote, it’s really informative and of tremendous help to a dummy like me, who doesn’t know a thing about bass information, frequency range, and such. I’ll be checking this out. They are great speakers and if you decide to buy them you will definitely spend many hours of enjoyment. Hello how are you ?, Thank you for this very detailed review. I am going to move in December and I am looking to buy the things that I need. This speaker would be perfect for my room, since it is a small dining room. With my husband we are used to watching movies, or I use YouTube to listen to music while I do my homework. We have always use the speakers that comes with the Tv, but this would be ideal. Thank you very much, and I fell in love with the white color, it will be perfect with the color of the room. Hello Paola. The white looks great indeed. I hope our review helped you make up your mind. I must say that those ones are great. I always need to borrow this from someone because I like to have very loud music for celebrations but also while watching films. I will for sure buy it it is definitely worth the price. I will also recommend it to my friends who have gym because it is awesome for that. The Zensor 5 series is good for movies and music so they can be used in various setups and spaces. Hey Kenny. Dali is among the brands that those familiar in the field know very well. There are other good brands also like Klipsch, SVS and Q Acoustics among others. This review comes at a perfect time. We are looking for good speakers to watch movies and listen to music on out TV. I was hoping to not pay quite as much as I see they cost but I guess you get what you pay for. I know you said its good for smaller or medium size rooms. Would it be okay for apartments seeing that I have neighbors beside and below me? Yes they are great for an apartment only be careful how high you turn up the volume! But a speaker is not only how high it can go but what kind of audio it produces also. Sounds like it is a good value for the price. I Like the black one, it looks sleek and modern.Would this be a good idea in an apartment setting? I wouldn’t want to bother my nieghbours. How much can you feel the bass when it is playing? Would the bass cause enough vibration in the floor for my neighbours below me to complain? It all depends of the volume shy…and how much your neighbors are being bothered. If you use them at tolerable levels noone will complain. I was on the fence for a while, because we have been needing new speaker around the church for a while now. That 1970’s sound system isn’t quite cutting it any more. I had been looking at the Dali Zensor 5 for a while, but a friend of mine told me that they wouldn’t work very well in out larger rooms. If you want them for a big area Clay I would suggest you also take a look at the Zensor 7 series which is exactly the same quality but bigger and are better suited for more open spaces. What a great post! My husband is in the beginning stages of researching new speakers so this post is quite timely. You provide explicit information and pay close attention to the small details that really are important in the speaker world. 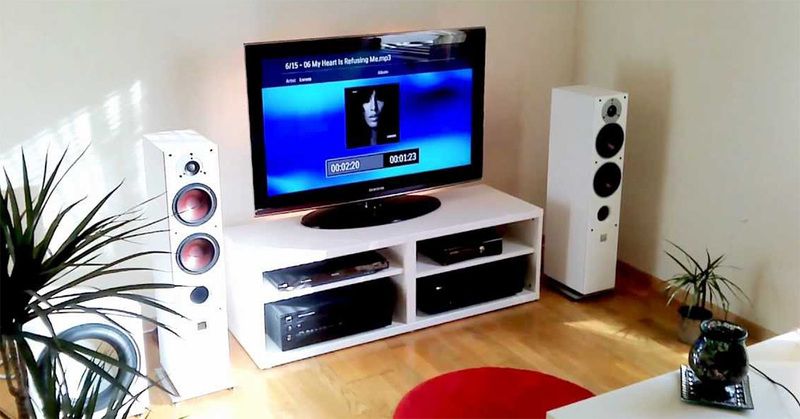 Your information will definitely be taken into consideration as we do the research on replacing our speakers. Our room isn’t very big so these just may be perfect. I also love your review stars, they are very helpful as well. Thank you Beth, I hope you found our review useful. What a great post! My husband is in the beginning stages of researching new speakers so this post is quite timely. You provide explicit information and pay close attention to the small details that are really important in the speaker world. Your information will definitely be taken into consideration as we do the research on replacing our speakers. Our room isn’t very big so these just may be perfect. I also love your review stars, they are very helpful. Thank you Beth. We always try to provide as much information possible in order to help our readers make the best evaluation possible. 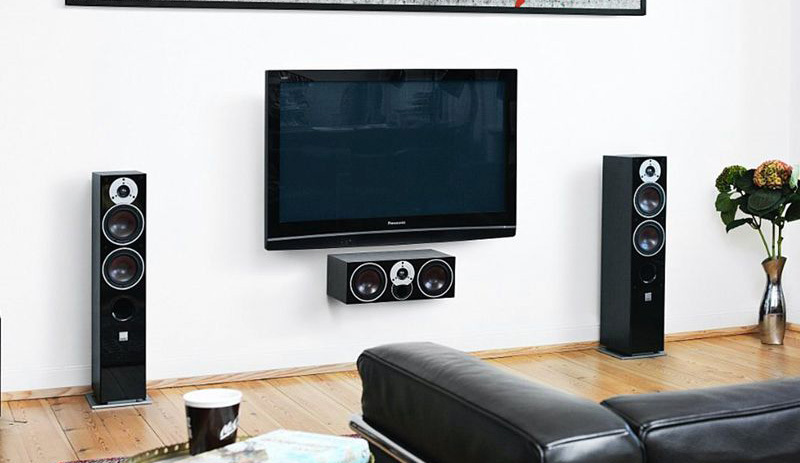 If you have a relatively small space then the Zensor 5 speakers will be perfect for you.